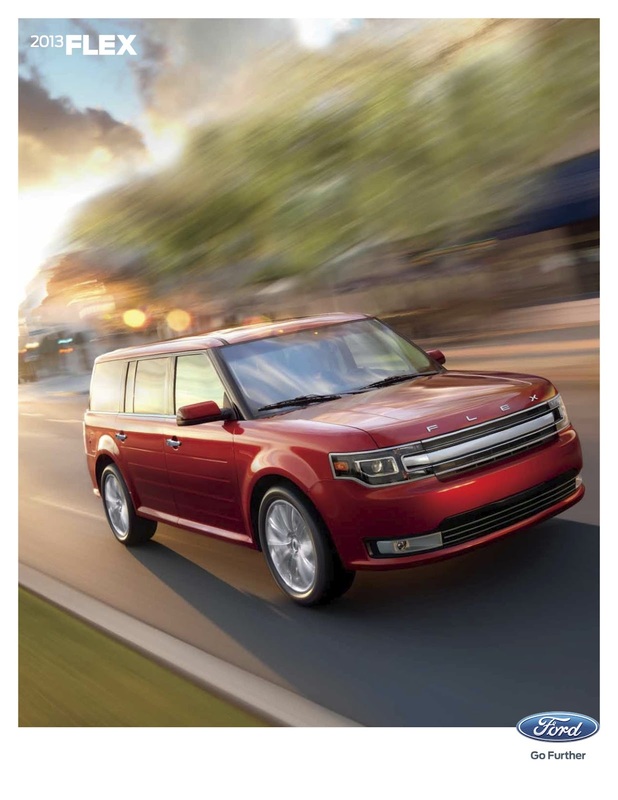 BRIGHTON, Mich. – The Ford Flex is a full-size family vehicle that features three-rows of seating, bold styling and is highly functional. The Flex competes directly in the popular crossover segment. The front-wheel or all-wheel drive Flex is powered by a 285-hp 3.5-liter Ti-VCT V6 engine. Available on the all-wheel drive Limited only is the 355-hp 3.5-liter twin-turbo EcoBoost V6 engine. Both engines are mated to a six-speed automatic transmission with SelectShift. Available features include a Multi-Panel Vista Roof, interior refrigerator, and capless fueling. Standard safety features include four-wheel disc brakes with anti-lock brakes, electronic stability and roll control, six airbags, and a tire pressure monitor. For 2013, the Flex has been refreshed inside and out, new front and rear fascias as well as a new grille update the exterior, while new seat and IP trim changes the inside. SYNC is now standard on all trims, and MyFord Touch is standard on SEL and Limited trims. Also, inflatable rear seatbelts are now on the option list. If you have any questions about the new 2013 Ford Flex inventory, please contact us right away. We would be more than happy to assist you.